Devon is a sixth-year doctoral student in African history, and a candidate for the Graduate Certificate in Women, Gender, and Sexuality Studies from the Institute for Women, Gender and Sexuality Studies. Her research focuses on the history of gender and sexuality, and the history of medicine, in 20th century francophone West Africa. Her dissertation, entitled “Reproductive Labors: Mandé Reproductive Expertise and Biomedical Legibility in Mali, 1935-1999,” examines the intertwined and competing practices by which Malian families sought to ensure successful conception, pregnancy and childbirth in the context of high maternal and infant mortality. It traces simultaneously the development of biomedical maternal and reproductive health programs and the changing interventions of local specialists such as a birth attendants and nuptial counselors. Devon’s dissertation research has been supported by the Fulbright-Hays Doctoral Dissertation Fellowship, CLIR Mellon Doctoral Research Fellowship in Original Sources, GSAS International Travel Fellowship, Alliance Doctoral Mobility Grant, and Institute for African Studies Leitner Award. “Last Acts of Mothering: Nuptial Counseling in Colonial Mali” Past and Present special issue on “Mothering’s Many Labours.” (Under consideration). “The Continuity of Colonial Prestige in a Decolonizing Cameroon,” Journal of African History. (Under consideration). Devon graduated from Wesleyan University with High Honors in History in 2008. Her honors thesis explored the intersection of local ethnic relations and national political changes in northern Cameroon over the 20th century. Devon continued this research under the auspices of a Fulbright Research Fellowship at the University of Maroua (Cameroon) in 2010-2011, where she examined anti-colonial political activism in northern Cameroon in the 1950s, and the political ramifications of working-class interracial relationships in this period. Alongside Oumou Sidibe (Independent Scholar) and Professor Gregory Mann, Devon is the founder of the Projet Archives des Femmes in Bamako, Mali. This project seeks to collect and conserve private paper collections held by Malian women involved in the independence movement and post-colonial gender-based activism. The collected archives will be housed at Mali’s leading gender studies library (the Centre Nationale d’Information et Documentation sur la Femme et l’Enfant) where they will be made accessible to the scholars. In partnership with the University of Bamako, the project also holds summer workshops with Malian women pursuing higher education, focused on skill-building around research and job-seeking. Devon has served as a Teaching Fellow in the Columbia University History Department and the Barnard College History Department, for courses on African history, Caribbean history, and the history of health and medicine. She has also served as an editorial assistant for the Journal of African History. 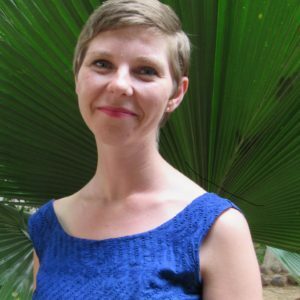 Prior to beginning her PhD, Devon worked for close to 4 years in Bamako as the Director of Programs with Mali Health Organizing Project, a non-profit organization which promotes community engagement in health and access to primary care.